Hon. 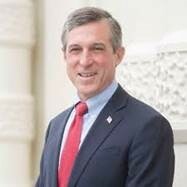 John Charles Carney, Jr. is currently the serving as Delaware’s 74th Governor, having won the 2016 election in a landslide. A 1978 Dartmouth graduate, he played defensive back, earning All Ivy honors in 1977. Prior to being elected Governor, he was a three term United States Congressman, and before that, he served as Delaware’s Lieutenant Governor. Between his time of service as Lieutenant Governor and Congressman, he was President and Chief Operating Officer of Transformative Technologies, an investor in alternative energy technologies. As Governor, he has been a strong advocate of wellness issues and education. Governor Carney and his wife Tracey have two sons, both in college.